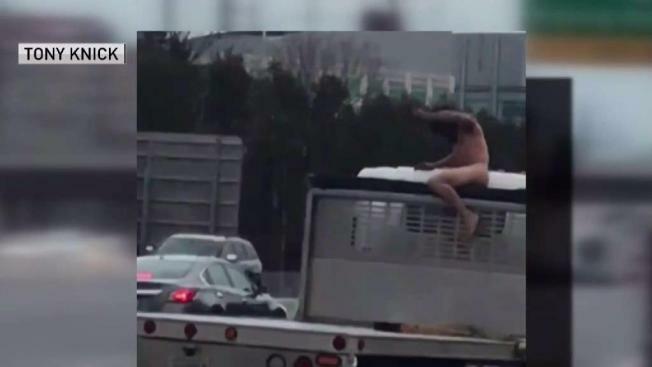 A man stripped naked and jumped onto a moving truck in freezing temperatures Tuesday near Washington Dulles International Airport, officials say and stunning video shows. 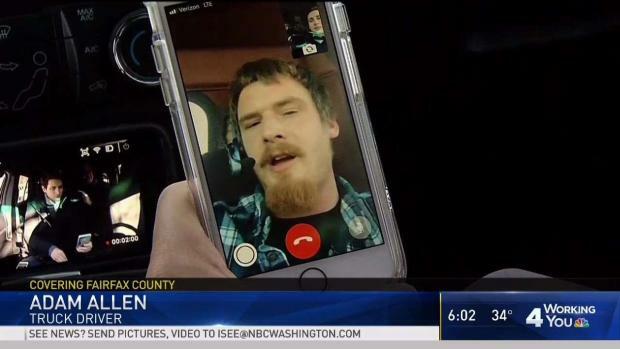 Shocked drivers stopped their cars to gawk at the man's rampage and record it on their cellphones, backing up traffic on Route 28 in Fairfax County, Virginia. Initially, police could not identify him. Police said it was not immediately clear if Flores had been under the influence of drugs or alcohol, or if he had experienced a medical emergency. After he is released from the hospital, police said he will be charged with indecent exposure, felony hit-and-run, throwing an object at a moving vehicle, destruction of property, assault and battery, disorderly conduct and marijuana possession.